Key skills: Recruitment and human resources management, strategy and policy development, executive counsel, employee engagement, benefits and performance management. Gayle is a Human Resources consultant who has worked closely with ESSA since 2012. She has provided ESSA with a full suite of HR services covering recruitment, talent management, HR planning, policy and compensation development, management support, and employee relations. She uses the balanced scorecard framework for aligning people practices to organizational strategy, mission, values, and achievement of annual business objectives. As an organization evolves to meet constantly changing needs, the scorecard provides clarity and guidance to help leaders identify gaps in staff skillsets and competencies, where to shift priorities or pivot in new directions. She believes that this type of process for adapting to change must be embedded in today’s organizations. Gayle is a problem solver, trusted partner and influencer, equally comfortable acting as an advocate for employees as counseling executives. Her passion is helping organizations create workplaces where people are respected, valued and recognized for their contributions. Among Gayle’s favourite words: Transparency, authenticity, empathy and accountability. In today’s workplace, employees expect more – from themselves, their peers and bosses — forcing managers to be finely attuned to individual and team needs. She sees business leaders in the same light as orchestra conductors, coaxing the best out of each and every member of an ensemble to make beautiful music. 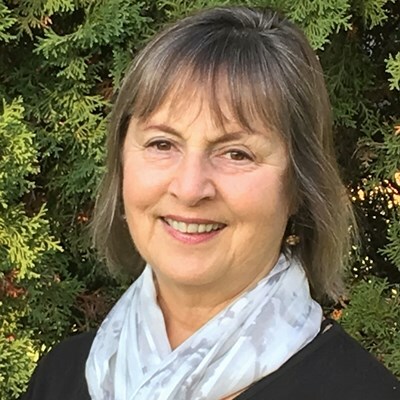 Gayle has provided HR services to other environmental and sustainability-driven organizations including the David Suzuki Foundation, Tides Canada, Salt Spring Coffee, Clear Seas Centre, BC Association of Farmers’ Markets, and the International Association for Impact Assessment. Gayle completed her HR studies at BCIT, then earned her Chartered Professional in Human Resources in 2004. She has HR leadership experiences in the technology, healthcare, financial, and non-profit sectors. A member of CPHR British Columbia & Yukon, for four years she led workshops throughout BC for individuals preparing to write their CPHR certification exams, and has served on Conference Committees to source and select presenters for BC & Yukon’s annual HR Conference. What she enjoys most about working with ESSA: The ESSA leadership group has created a workplace culture of open communication, collaboration, and respect. You can see and feel the passion and dedication staff apply to their work everyday. Outside of her consulting practice, Gayle is an avid swimmer, and enjoys hiking, yoga, tennis and health practices such as qi gong and meditation.